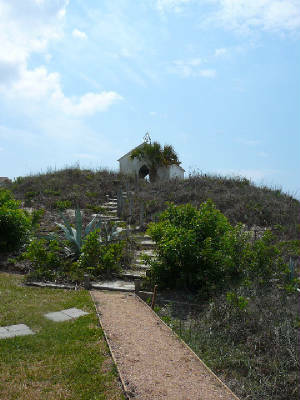 Cole and Marcy were married in the beautiful, little Chapel in the Dunes. The building's walls are covered in paintings of Biblical scenes (See Chapel page.). Some of the many well-wishers stood and watched the ceremony from windows to the right and left of the altar. Others were peering in through the door, as only about 30 members of the family could fit inside the small structure.